The chapter raised the money by holding a yard sale, plant auction and various other endeavors during the 2017-18 year. 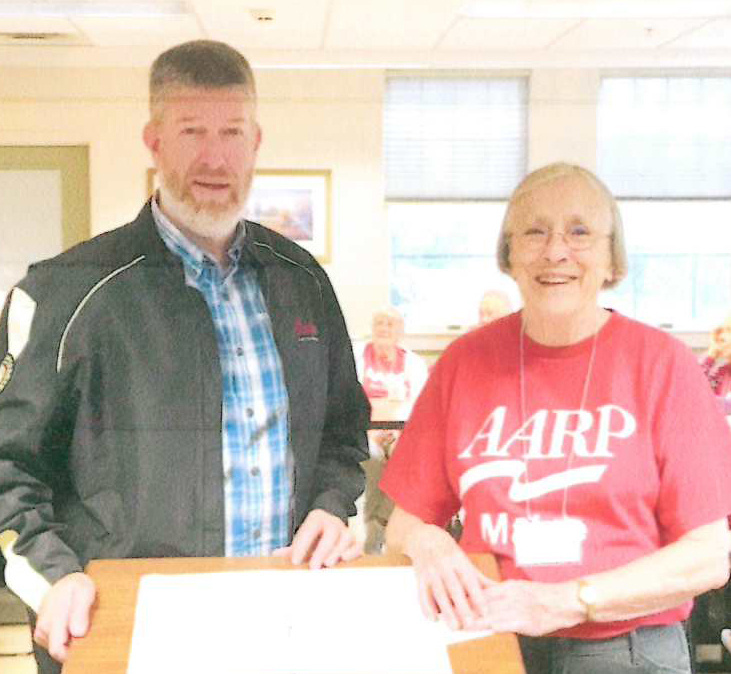 Greater Augusta AARP Chapter 511 recently donated $1,500 to Bread of Life Ministries during the chapter’s ongoing renovation drive. The chapter raised the money by holding a yard sale, plant auction and various other endeavors during throughout the year. The presentation included John Richardson, executive director of Bread of Life Ministries, and Priscilla Costello, vice president of the chapter.